Southern Lumber and Millwork Corporation is able to assist you throughout your projects. From start to finish, we have the ability to be your assistant as well as your building materials supplier. Having been in business for over 70 years, our family members and our employees have handed down their knowledge from generation to generation. Attention to detail, quality products, and quality service; it’s what we do, it’s WHO WE ARE! 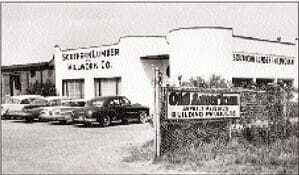 Southern Lumber & Millwork Corporation, located in Charleston, SC, was organized in 1940 by Herman Albrecht, Jr. With ten years of building materials and millwork experience behind him as well as additional experience as a teacher of carpentry and blueprint reading at Murray Vocational High School, he started a small millwork business in the back yard of his home. 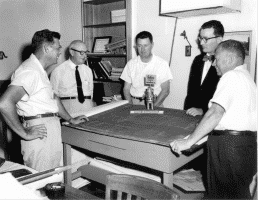 In 1941 Raymond Rike, a former millwork salesman, was offered an opportunity to become a partner in the business. With his years of millwork and selling experience, Raymond was able to take over the estimating and sales work, which allowed Herman to devote his efforts to managing the shop and purchasing inventory. From a modest start in a small waterfront warehouse at 160 East Bay Street, the company enjoyed a strong and steady growth. As the business prospered, it experienced a few growing pains. Quarters became too cramped and lumber was scattered about on nearby leased lots. This situation lasted until plans were drawn for a new plant to be located on King Street on a lot occupying seven acres. The building was completed in September, 1945. In 1961 Mr. Albrecht bought out Mr. Rike, and the company was incorporated in 1964. The business is presently managed by Mr. Albrecht’s daughter and three grandsons. In addition to the Albrechts, there are other family ties among Southern Lumber’s employees. Some of the earliest employees of the company passed their knowledge on to their sons and daughters, who now work at Southern Lumber in sales, bookkeeping, and in the yard. Several employees have been with the company well over 25 years. The present day business is still located in the original building constructed in 1945, which was noted for being the building with the “round corners”. In 1995 major renovations were made to the interior of the building, expanding the sales area into the warehouse and creating a showroom for millwork displays. Additional office space was added to the rear of the building. In 2002 and 2010 the showroom was remodeled once again to keep the displays updated. The company is noted for its custom millwork department and ability to run special mouldings. 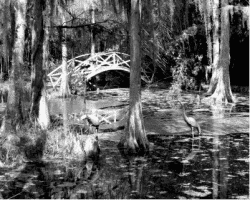 Examples of Southern Lumber’s work can be seen throughout Charleston, including a walkway bridge for Magnolia Gardens, The Citadel’s ring, as well as staircases, columns, entrance frames, custom doors, windows, ornate mouldings, and mantels found in several downtown homes and surrounding areas. Shop equipment ranges from machinery now on display in the Smithsonian to modern day moulders and other computerized machinery. 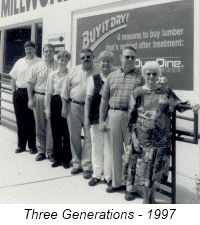 Southern Lumber and Millwork Corp. is a member of the Southern Building Material Dealers Association, and its founder, Herman Albrecht Jr.; his daughter, Joye Shuler; and three grandsons, Will Albrecht, Ben Albrecht, Jr., and Thad Shuler have all served on the board. In 1998 it received the association’s prestigious Dealer of the Year award. Southern Lumber is also a member of the Charleston Trident Home Builders Association, and has won first place honors in the Home Show several times. 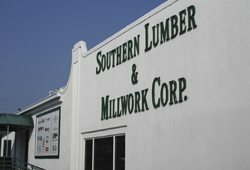 Southern Lumber maintains ties to the Charleston community by supporting local schools and providing learning opportunities for students with an interest in millwork and carpentry. The company continues to enjoy a steady growth, built on the strong foundation started by Mr. Albrecht in 1940.